The original Sports Traveler Tour - 19 years strong! 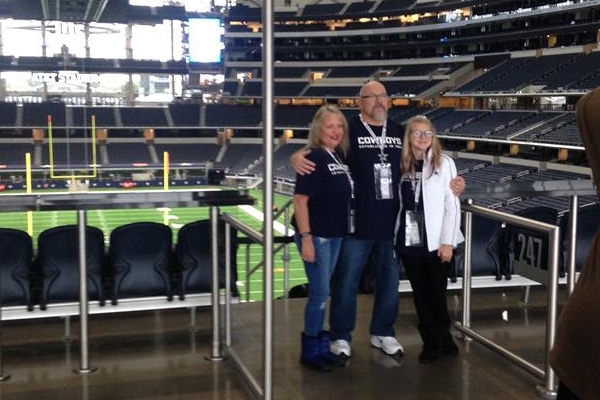 Take part in our signature Cowboys fan tour packages including hotels near to AT&T Stadium, formerly Cowboys Stadium in Arlington, Texas. We have access to premium Dallas Cowboys tickets and group airfare discounts, plus we take care of all the game day transportation. 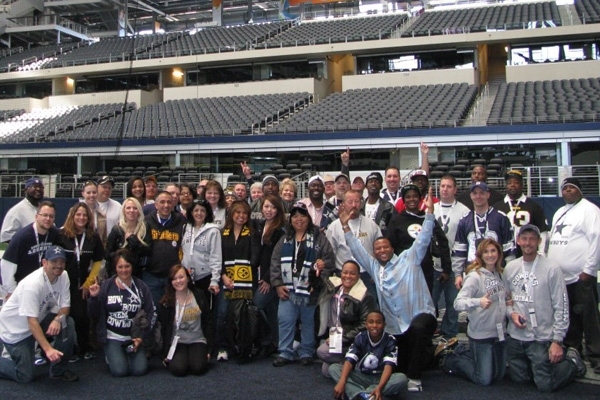 Every year hundreds of fans take part in our Cowboys Weekend Travel Packages to cheer the Boys or watch their favorite NFL team play the Cowboys at the incredible AT&T Stadium! We offer an affordable way to experience a Cowboys game. Our hotels are close to AT&T Stadium, so our game day transfers take just minutes! 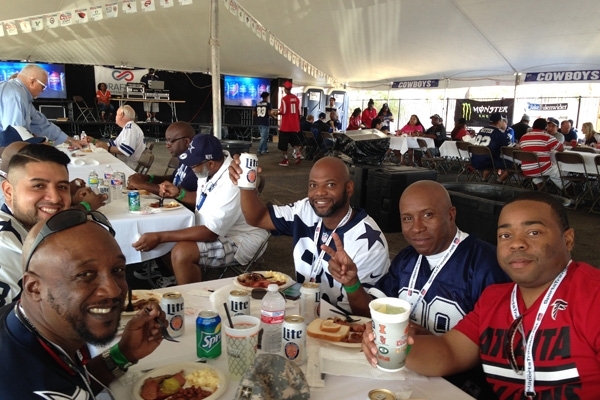 Cowboys game tickets, access to our tailgate party, airport shuttle service, and daily breakfast are also included. The Real Texas Tailgate Party - Eddie Deen is cooking! 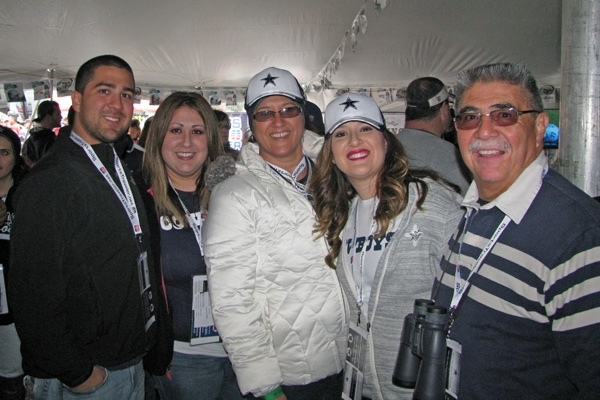 Our tented tailgate party is located steps from the stadium gates. For 3 hours prior to game time enjoy World famous Eddie Deen's BBQ, complete with his "secret sauce", ribs, brisket, side items, and desserts, plus unlimited bar, beers, live entertainment, and personal meet and greet with Super Bowl Champion and Dallas Cowboys player Bill Bates! The day after the game we will tour AT&T Stadium on a private tour. Take pictures and make memories to last a life-time on these two exclusive tours! Note: field access is based on AT&T stadium schedule. Join us at AT&T Stadium when the New York Giants play the Dallas Cowboys in their home game season opener! View our hotel travel packages for this exciting NFC Rivalry Matchup! Just need Cowboys Tickets? Click here. Experience a Cowboys Weekend with us when the Miami Dolphins play the Dallas Cowboys at AT&T Stadium! 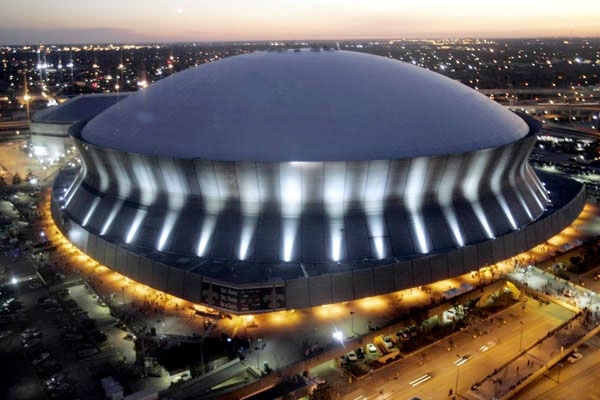 Follow the Cowboys when they travel to New Orleans and visit the New Orleans Saints. Enjoy great hotel lodging, game tickets and more! The Green Bay Packers are heading to AT&T Stadium to play the Dallas Cowboys in this NFC match up. Be there to witness it all with Sports Traveler! The Philadelphia E-A-G-L-E-S are coming to AT&T Stadium! And what a party it's going to be!! Be there to welcome the Philadelphia Eagles and the Eagles Nation to the home of the Dallas Cowboys. This annual NFC matchup is always a tough ticket and a popular game to attend. The Minnesota Vikings are set to play the Dallas Cowboys! Be there with a travel package including hotel, game day transfers, tailgate party, tickets and more! Be there when the Buffalo Bills travel to AT&T Stadium to play the Dallas Cowboys in this matchup! Be there when the LA Rams travel to AT&T Stadium to play the Dallas Cowboys! 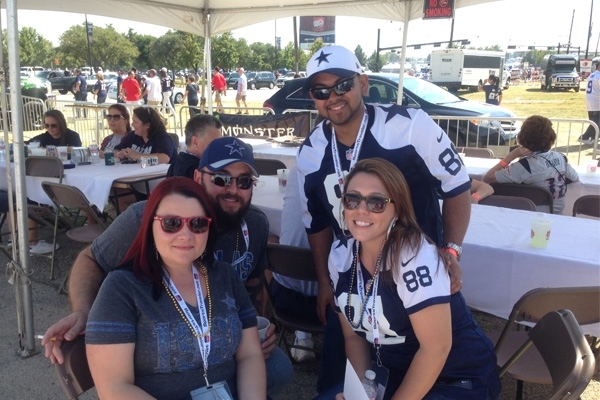 Join us at AT&T Stadium for the Cowboys vs Redskins! The NFC rival Washington Redskins will travel to play the Dallas Cowboys in a critical NFC East matchup. 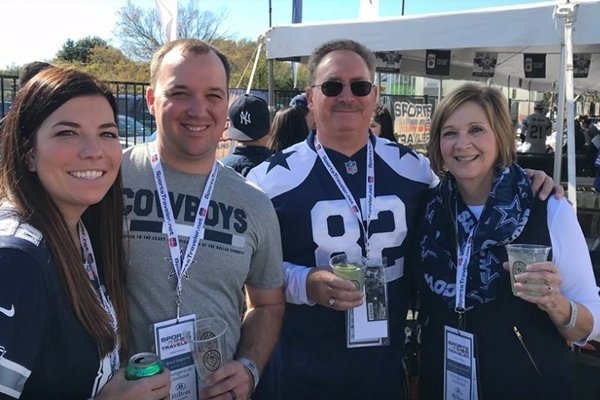 Dallas Cowboys Package Reviews Fan Travel Guide Sign up for 2020 Cowboys Packages! 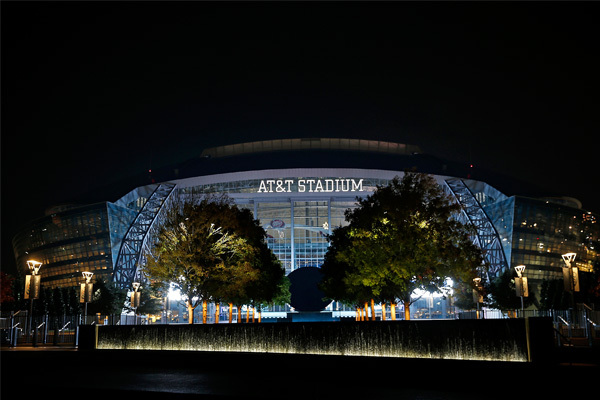 Plan your trip to see the Dallas Cowboys at AT&T Stadium in Arlington, Texas! Where do the Dallas Cowboys play? 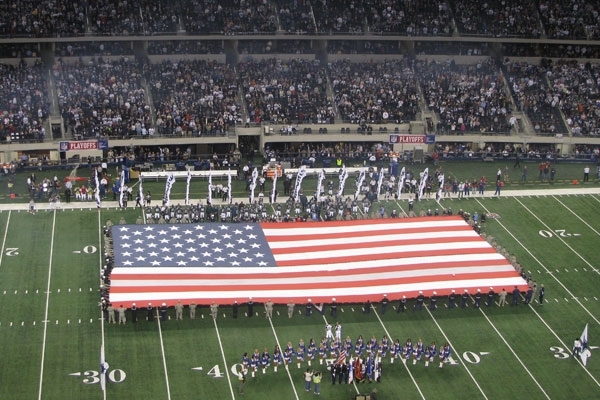 The Cowboys play at AT&T Stadium, formerly known as Cowboys Stadium, located in Arlington, Texas. Up to 80,000 fans can be accommodated, with the option for expanding to hold 100,000. All of our lodging packages include great seats and tickets in the stadium. Although there really isn't a bad seat in the house, we do have some seating recommendations. The cheapest seats will be in the 400 level which is also is the largest section of AT&T Stadium. Spanning up to 22-30 rows high on the corners and sidelines, the 400 level only has 5 rows in the endzone. These endzone sections are a fan favorite and suspend on a bridge over two fan zones at either end of the stadium. Our pick for best value priced tickets are the 100 or 200 level endzone. The view from the endzones are the best when compared to other NFL Stadiums. Also, the price of these tickets are more affordable than a sideline because they are not part of the Club Level. AT&T Stadium also offer standing room only or SRO for every home game for either the East or West side of the stadium. There are limited areas on each fan deck to sit down, but if you choose this type of ticket, plan on spending most of your time standing to actually be able to see the field. Sports Traveler does not offer SRO tickets with our packages, however they are available to purchase individually from our ticket inventory listing. Where to stay near AT&T Cowboys Stadium? Arlington, Texas is the home of AT&T Stadium and this fast-growing city is quickly becoming a fantastic destination and host city for all types of entertainment and sports fans. Most hotels included in our travel packages are located in or near to Arlington, many within 2 miles distance from the stadium. Texas Stadium had been home to the Cowboys since 1971 and was known for the hole in the roof. As the legend goes this was so God could look down to watch his team. The Cowboys new home has a retractable roof with glass doors allowing each end zone to be opened and a center-hung video display board which is one the largest HDTV Jumbotron Screen in the world. The construction cost of the new stadium was estimated at $3 billion, which makes it one of the most expensive sporting venues ever built. The wife of Cowboys owner Jerry Jones, Gene Jones, is credited with creating much of the interior design features of the stadium's club lounges as well as arranging for the art work on display throughout the various hallways and common areas of the stadium. There is so much art work on display inside AT&T Stadium that the stadium now offers a special Art Tour several days a week. Sports Traveler offers a private guided tour of the stadium included in our 2-night travel packages. Our stadium guide takes us on a walking tour of multiple levels and into the Cowboys and Cheerleaders Locker Room, the Press Room, a private suite, and there is also field access. Note that sometimes we will not be able to get on the field due to a private event or field maintenance. The Cotton Bowl is also now held there annually. AT&T Stadium has also been the host of the Cowboys Classic since 2009. The Cowboys Classic is a college football game that takes place the opening weekend of the college football season and normally features two of the nation's top programs. AT&T Stadium also hosted Super Bowl XLV in 2011, the 2014 Final Four, and 2015 College Football National Championship. We offer the best deals on your lodging accommodation packages to the Dallas Metroplex. Join us for every Cowboys home game for a great football weekend in North Texas! 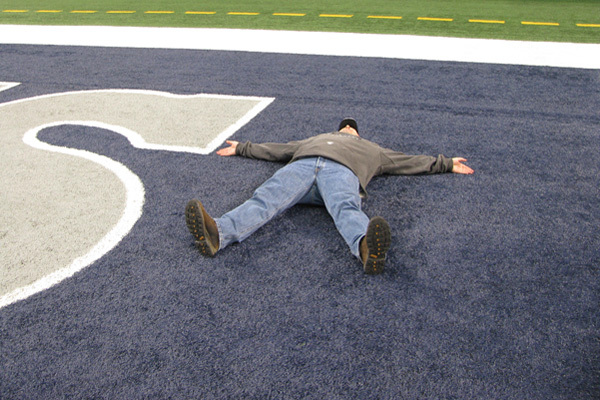 Sports Traveler has no affiliation/association with the Dallas Cowboys and no rights to any Cowboys’ marks or logos. Already thinking about next year? Sign up now for 2020 Regular Season Package Information. 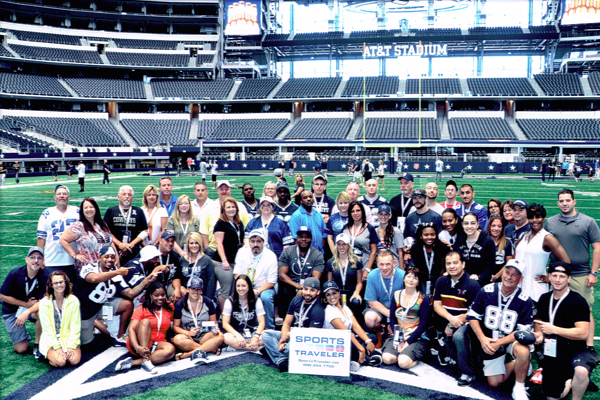 Join our mailing list and get information and discounts for future Dallas Cowboys Trips. Sign up now for information about our 2020-2021 Cowboys travel packages. Please fill out the following form to receive information when our Cowboys Travel Packages go on-sale. Packages will be available in mid-April, after the NFL schedule is released. For immediate assistance, please call us at 1-888-654-7755. Sports Traveler, LLC is NOT an official box office for the Dallas Cowboys. We are NOT affiliated with the (NFL) National Football League. Sports Traveler is an independent travel provider that specializes in sold out sporting events world-wide. Any use of trademarked terms on any pages of our website is used solely for descriptive purposes.